Join 100,000+ Users with a 14-Day Free Trial. No Credit Card Required. 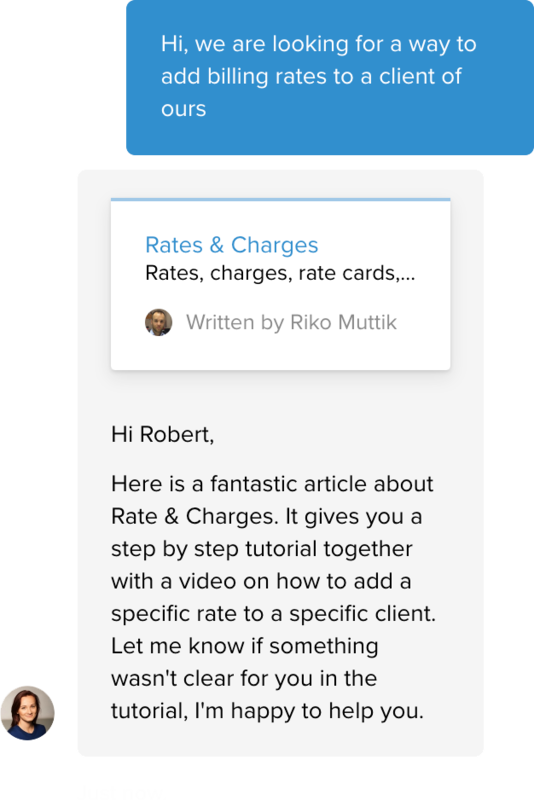 "PARiM made it quick and easy to get started and schedule the staff. 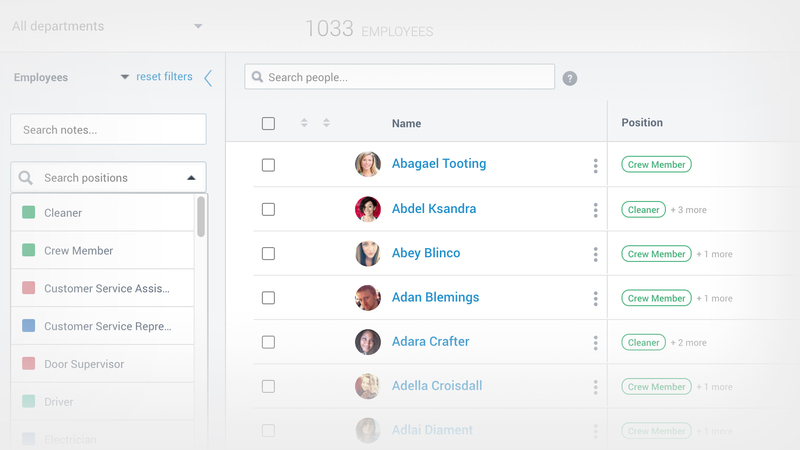 With its sortable, fast database we can manage our flexible staff pool in seconds." 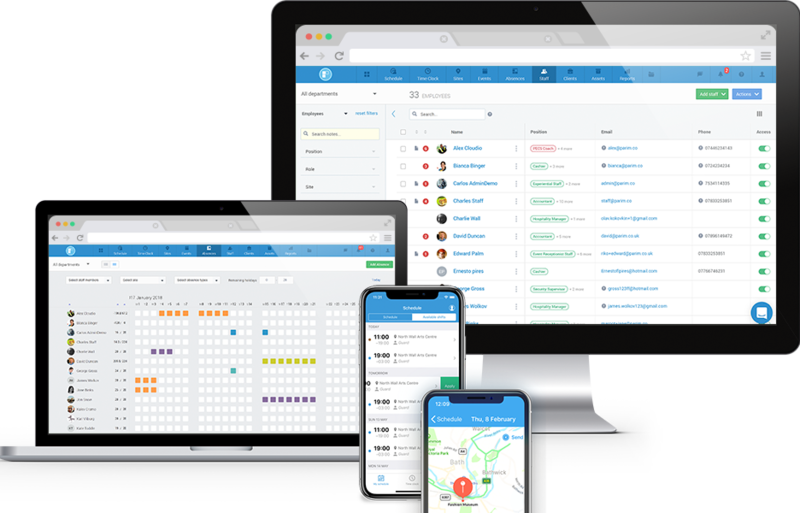 Comprehensive feature-set for professionals: free mobile apps, real-time dashboards, sound and visual notifications of problems & staff reminders. 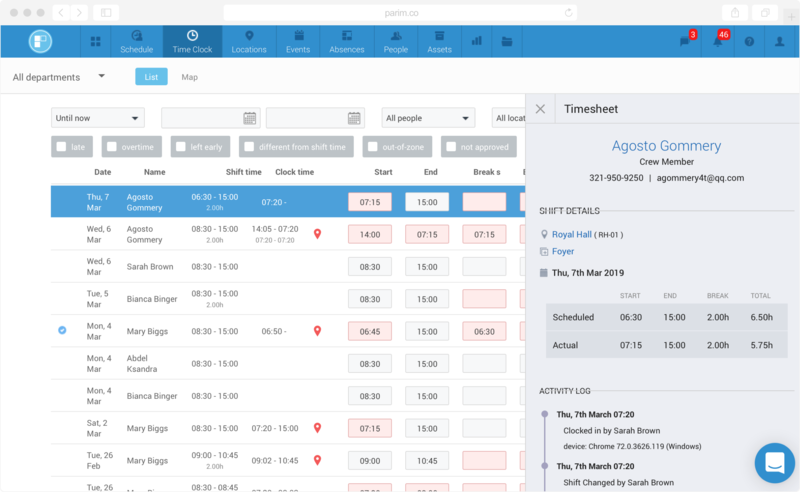 Our employee scheduling solution encompasses a wide range from straightforward scheduling to advanced working time rules tracking. 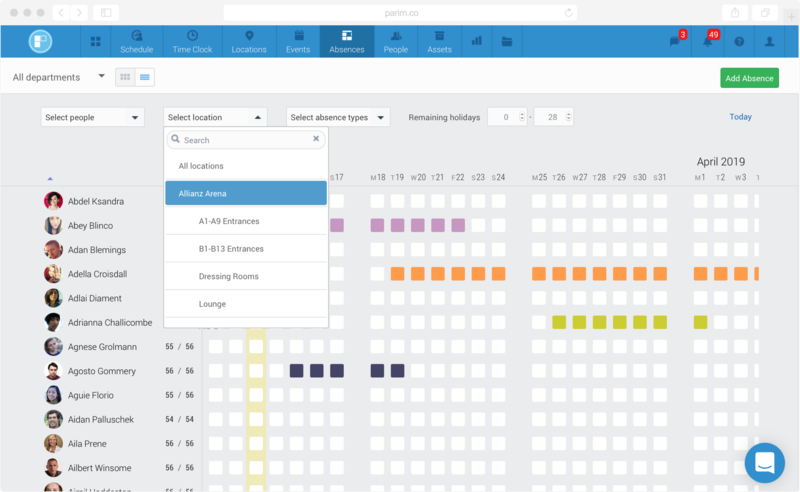 With PARiM you can define your own types of absences and then track and manage them along side holiday pay. We have the fastest data filtering and sorting solution on the market with Saved Views enabling you to switch between data sets in seconds. 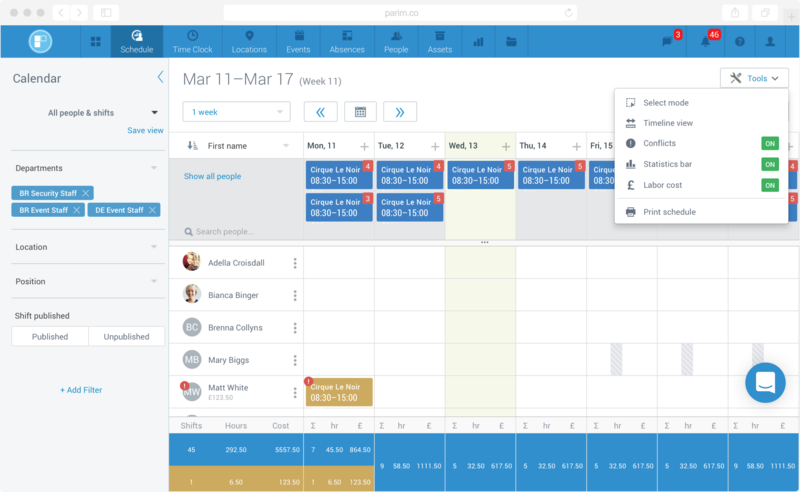 Accurate time and attendance tracking along with real-time and detailed overview of your schedules. Do more with less. Less costs. Less friction. From 1-click copying to advanced shift patterns. Real-time dashboard connected to free mobile apps. Manage leave and absences along with your schedules. 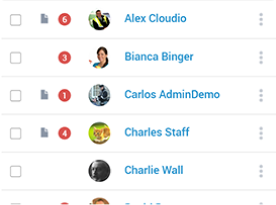 35+ filters with Saved Views to find the data you need instantly. 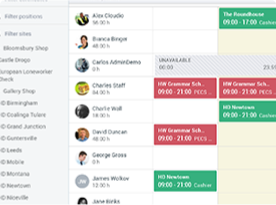 The correct scheduling of shifts and authorisation of staff absences are critical to avoid staff shortages. and customising our solution to match your challenges. But at the heart of our system lies simplicity. 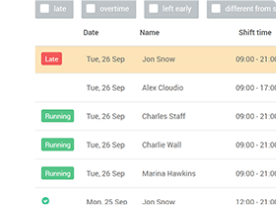 With a push of a button your staff members can start and end their shifts or confirm their location in our iOS (iPhone) and Android mobile apps. 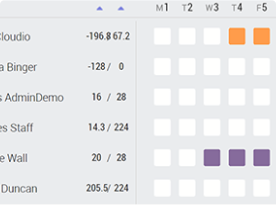 1-click shift copying, scheduling automation with shift patterns, 3-month views and incredibly fast filtering together with real-time time and attendance tracking. We combine advanced features with an award-winning user experience; free mobile apps; client and staff portals for a more complete and results-oriented solution. Implement your vision of a more profitable organisation and a more pleasant workplace. Our online support is just a click away but unlike other providers we do more than just write calming words. Support is tightly integrated with our development team allowing fast fixes and contributing to your long-term success. 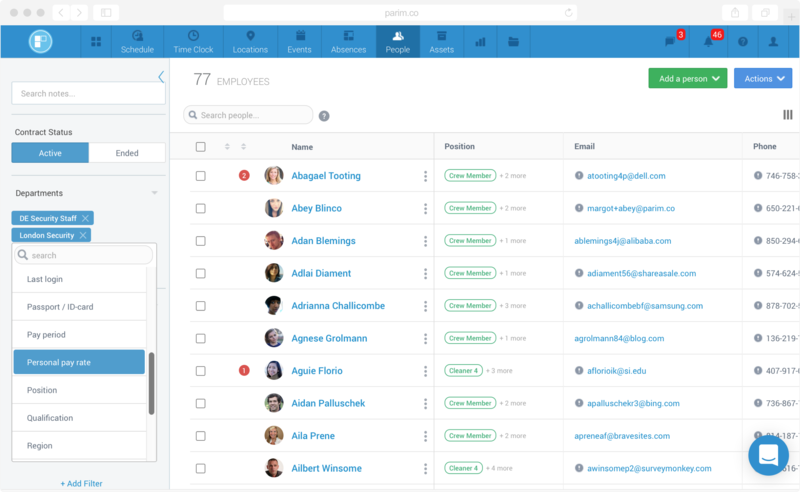 An award-winning online employee management solution with free native iOS (including Apple Watch notifications) and Android apps.